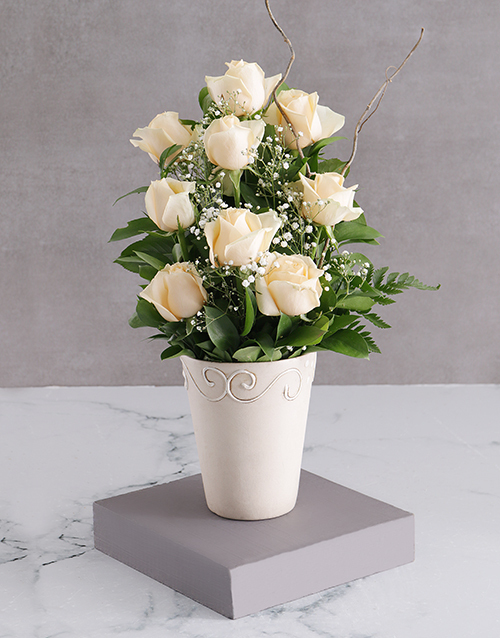 Send some elegance with this eye-catching arrangement of cream roses, million star, willow and leather leaf. Roses arranged in ceramic pot. A stylish statement gift, guaranteed to make an impact. Get this Arrangement Of Elegance Itself Arrangement delivered with NetFlorist. Get this Elegance Itself Arrangement delivered with NetFlorist.